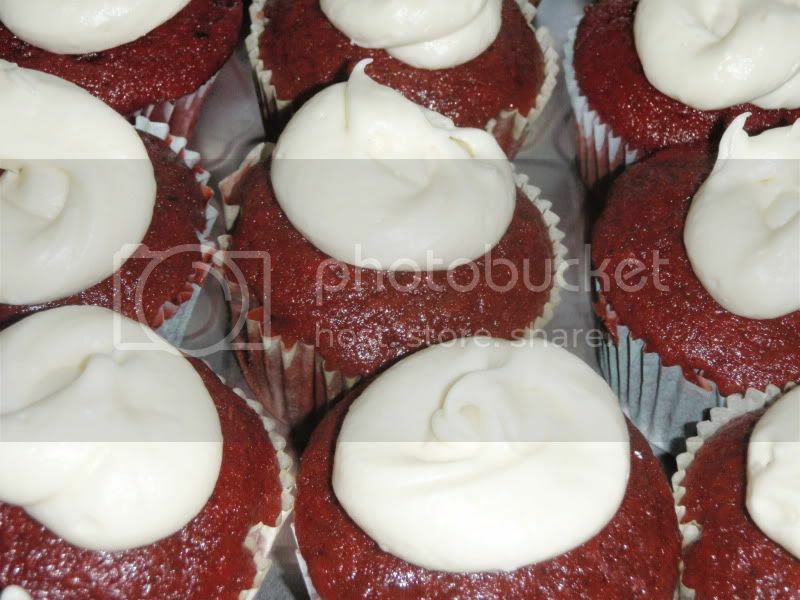 I've been on a red velvet kick of late. (See the layer cake I made a couple months ago here). 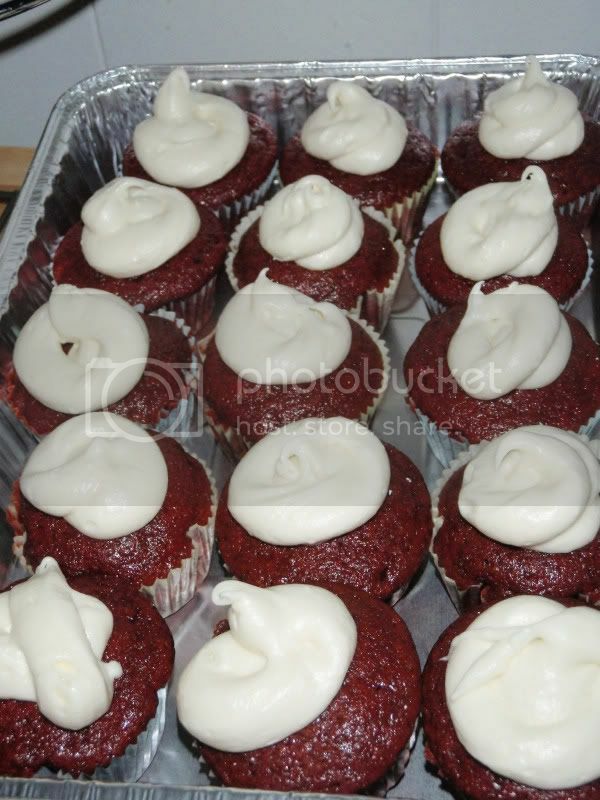 Thus, when realized that I needed a treat for a birthday in my office in a hurry, this red velvet cupcake recipe by Martha Stewart fit the bill. I lightened it up a bit using apple sauce, but otherwise followed this recipe. Preheat oven to 350 degrees. If using buttermilk substitute (1 cup milk + 1 TBS vinegar), make it now and set aside. In a large bowl, beat sugar, oil, and apple sauce until fluffy. Add eggs one at a time. Mix in food coloring and vanilla. Mix flour and milk into sugar mixture, alternating flour, milk, flour, milk, flour whisking well after each addition. Stir vinegar and baking soda together. Be prepared for it to foam. Quickly add to batter. Pour batter into prepared muffin cups, filling about 3/4ths full. Bake 20 minutes until springy and cooked through. Beat butter and cream cheese until fluffy. Add sugar, 1 cup at a time, then vanilla. Mix until smooth. It is not entirely necessary to refrigerate this frosting, but it may speed things up a bit. very pretty, i love red velvet!